Woven Swing Tags are a unique touch that can make your brand leap ahead of the competition. A custom Woven Swing Tag will help portray your brand image and help to make your products sing. 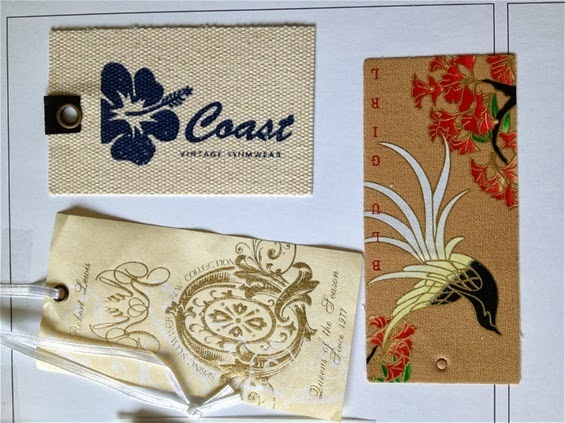 Our custom made Woven Swing Tags are ideal for clothing and fashion items giving your brand a unique selling feature. Our Woven Swing Tags can be made to a variety of specifications including size, style, colour, imagery and text creating a truly unique Woven Swing Tag. 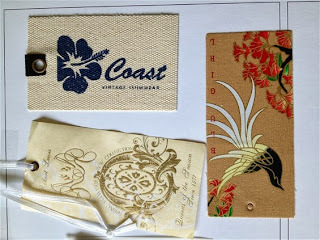 Woven Swing Tags are our specialty and we share this specialty with our valuable customers. See more of our customer comments. Order your Woven Swing Tags today. Contact us on 0116 326 0213 or fill out our online enquiry form. Our team is set up and ready to deliver your perfect Woven Swing Tags.